See how John's vision uses familiar Old Testament imagery to make sense of Christian experience in every age. The book of Revelation certainly generates more anxiety amongst Christians than any other book in the Bible. A 'happy hunting ground' for cults and sects, it is often the 'slough of despond' for the orthodox believer. Yet its opening words are 'Blessed is he who reads aloud the words of the prophesy, and blessed are those who hear, and who keep what is written therein'. 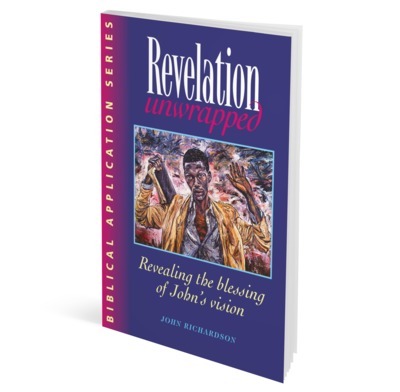 Revelation Unwrapped sets out to show how Revelation may be understood without resorting to fanciful interpretations. Instead of speculations about future world history, we see how John's vision uses familiar Old Testament imagery in a fresh way to make sense of Christian experience in every age. And as the message of Revelation is unwrapped, so the blessing it promises becomes available to the ordinary reader equipped with nothing more exotic than the Bible itself. I have numerous books on Revelation, yet always return to Richardson's "unwrapped". He backs up what he says with other scriptures. For example, chapter 20 is one of the most confusing chapters in the whole Bible and no writer clarifies the symbolism and text as clearly, and I believe accurately as Richardson does. An excellent overview of the book of Revelation which helps to prevent you from getting lost in the detail and thus enabling a better overall understanding of God's message to Christians then and now. The frequent use of timelines helps to ground the reader in the section of world history being viewed. Excellent service and book was also very good. Definitely will order from them again! A helpfully short book which makes the key themes and features of Revelation plain. Revelation is the stamping ground of many cults. This book brilliantly and concisely helps you navigate safely through the whole book of Revelation avoiding the many pitfalls. Yet encourages you to dig a bit deeper for yourself later. Anyone who is looking for an easy ABC of Revelation providing quick and easy answers will be disappointed with this book. Revelation is not a message easily interpreted... after all it was a vision. What John Richardson does is to bring his knowledge of Scripture and common sense together to arrive at a very persuasive and natural interpretation. It is not a book about the future - it is a book essential for Christians today. I found it most helpful. It is a book to which I hope to return...again and again. This is a commentary that I have come back to again and again. I would recommend it to both adults and teenagers. If you think Revelation is just too difficult, don't give up, buy this book. It is short. It is easy-to-read, with helpful charts and a great layout. It is simple. It covers the symbolism of Revelation brilliantly. A must-buy. It essentially is just an outline of Revelation, attempting to demonstrate structure and logic, the use of symbolism. A key point was that Revelation was designed to be a blessing, not a source of confusion, to the average reader at the time. Jesus is gonna win. Bottom line, whatever it looks like at the moment. And then he sets out the structure a bit further than that, if you like just enough info to get you thinking then this is the book for you... forget big phat commentaries! It gets 5 stars for its brevity.